Trumping the 2015 almond harvest record of 80,000 tonnes, the yield for 2017 is expected to reach 85,000 tonnes, the largest on record. This increase correlates with nationwide almond industry expansion plans to grow Australia’s almond yield to 130,000 tonnes by 2025. Consequently, this saw trees reaching full maturity throughout several orchard plantings. However, production levels in South Australia also helped this increase. Almond producers in South Australia make up around 19% of Australia’s total almond harvest. The bulk of the almond orchards in South Australia are in the Riverland region coming from 110 growers that had an excellent growing season in 2016. Last year brought a cooler and wetter climate translating to optimal growing conditions that helped boost total numbers to 16,000 tonnes. Not only will this increase help the nation’s economy, it is also predicted to bring $150 million to South Australia. Due to a boost in export prices, citrus growers in Queensland are boosting the numbers of export variety crops. Despite production levels falling by around 30% in 2016, the prices put a positive spin on the season. The demand, driven by a shortage in supply in both Thailand and China, and a high-quality final product, saw export prices increase towards the end of the year and into 2017. Just recently, a number of growers within Queensland have been working together to come up with brand new strategies for the export market. So far, the results have been largely positive with profitability improving all around. However, there is a downside to this and this has been the slow market at home. On the domestic market, prices were low and this counterbalanced the success seen elsewhere. According to one citrus grower, the first half of the season was one of the worst on record. 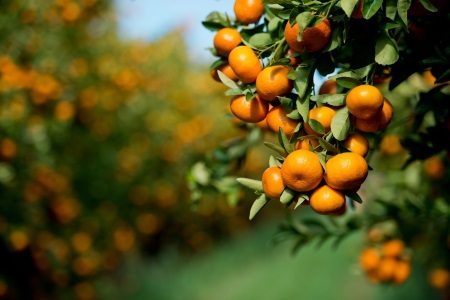 Although we can’t quite predict the future of citrus fruits in Australia just yet, many are expecting further decreases this year with a potential fall of 15%. Therefore, it is mixed news for citrus fruits but at least exports are keeping the sector remaining positive.